Getting started is easy & free! Just schedule a 30-minute Strategy Session with one of our Functional Aging Specialists. We’ll learn about what’s important to you, understand where you’re at right now with your health and fitness, and strategize with you on the best way to get you to your goals. Schedule your free strategy session now! Move Well. Live Well. Age Well. Our mission is to enable you to do the things you need to do, like to do, and want to do with greater ease and enjoyment – for the rest of your life. Forget long, boring cardio or weight-machine workouts. Discover the most effective way to build muscle, strengthen the core, and burn fat – at any age. Improve Your Ability to Do What You Love! Experience an innovative fitness program designed specifically for men & women over 50. Move better, get stronger, & enjoy great health with 30-minute small-group training sessions just 2 or 3 times a week! Get expert & individualized attention from a Certified Personal Trainer and Functional Aging Specialist, while enjoying the camaraderie of other women and men just like you. It’s Never Too Late to Start Making Changes for a Better Life! Functional body-weight resistance training is scientifically proven to be the most effective way to build muscle, strengthen the core, and burn fat – at any age. Take action today with absolute certainty that you have zero risk on your part. 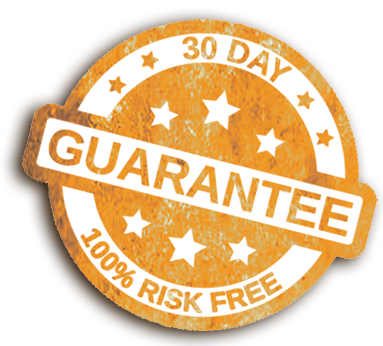 If you simply don’t love our training programs for any reason, we will refund your money. No questions. No hassle. No hard feelings. No excuses. Call today!